If you’re looking to fill the long hours of anticipation of the next two weeks, here are some new books to add to your collection. 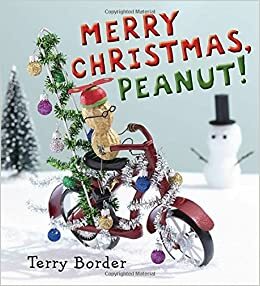 Kids will love the illustrations created from household items that tell the story of Peanut and his family as they travel to Grandma’s for Christmas dinner. Along the way, they pick up a host of lonely characters who need a place to spend the holiday. If you would like to buy this book on Amazon, click here. 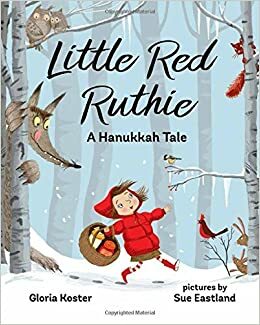 Little Red Ruthie is bring applesauce and sour cream to go with her Bubbe Basha’s legendary latkes. When a wolf follows her there, she has to quickly think of a way to fill him up on latkes instead of her and her Bubbe. If you would like to buy this book on Amazon, click here. Waltz of the Snowflakes by Elly Mackay. Published by Running Press. 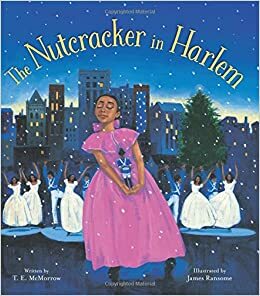 The Nutcracker in Harlem by T. McMorrow, illustrated by James Ransome. Two stories inspired by the classic ballet. The Nutcracker in Harlem reimagines the story in 1920’s Harlem. 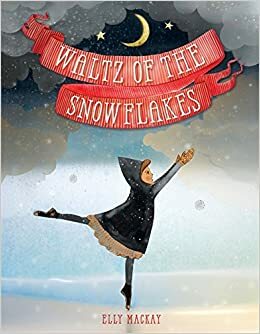 Waltz of the Snowflakes is a wordless celebration of a reluctant girl’s first experience at the ballet, and how she slowly gets caught up in the magic of the tale. For Waltz of the Snowflakes, click here. For The Nutcracker in Harlem, click here. 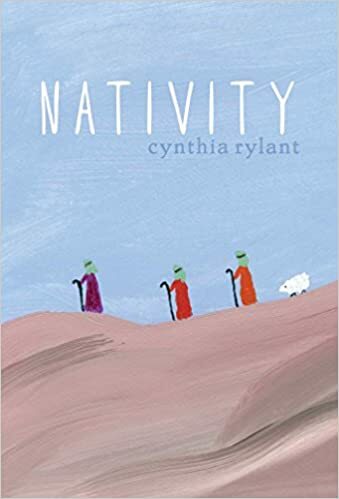 Simple, spare text and paintings tell the story of Jesus’s birth, concluding with four of the beatitudes offered as a sample of the adult Jesus’s teachings. If you would like to buy this book on Amazon, click here. 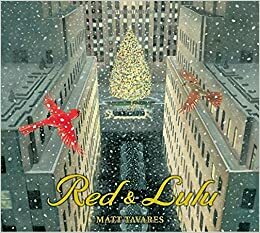 Red the cardinal panics when the enormous tree he and Lulu call home is cut down and taken away…with Lulu still in it. He follows the tree to New York City, where he finally finds it in Rockefeller Center, ablaze with colored lights. Red and Lulu become city birds, settling down in Central Park after Christmas. If you would like to buy this book on Amazon, click here.